Halloween is a fun holiday, full of party-goers, people attending haunted houses, and trick-or-treaters. Most of the festivities for Halloween happen after it’s dark, making both events more fun. There’s a scary side to this night though that doesn’t involve ghosts or ghouls; it’s all the dangers that happen during the night. Here are some great tips to keep you safe, whether you are the driver or the pedestrian. Drive Slowly. Wherever you are driving, there are most likely going to be a lot of pedestrians around. The best way to stay safe is to drive slowly. Both children and teenagers don’t pay attention well when they are focused on friends or getting to the next house for candy. As a driver, you should anticipate that people will step into the road when it isn’t an intersection or crosswalk. Park Legally. Be careful where you park. When you come to a crowded area at a Halloween party or event, make sure you are parked in a marked parking spot. Some drivers get lazy and park illegally when the only available spots are in the back of a parking lot, or the lot is full. This presents a hazard for other cars because they can’t maneuver their vehicles around illegally parked cars, potentially damaging your car in the process. It also makes the area more difficult to see properly, increasing chances of an incident occurring. Cross Smart. While drivers should be going slow through neighborhoods and around crowded areas, that doesn’t mean the pedestrian has nothing to worry about. Always look both ways before crossing the street and stay on the sidewalk. For adults taking little trick-or-treaters around, it is best to not let them run ahead too far. Teach them to always wait for you to cross the street. Be Seen. To add another layer of protection, wear something that is reflective or has light. Many stores sell glow stick necklaces and bracelets to put on kids to make them more visible. When so many costumes are black, or dark colored, it makes it hard to see pedestrians. Use Your Eyes. It’s also important that you increase your ability to see dangers. If you, or the younger members of your group, are wearing masks, you can’t see as well. Make sure to walk around with the mask up and encourage others to do the same. You can always put the mask back on before you knock on the next door. It just isn’t worth the hazard to be difficult to see and not see well yourself. To help promote awareness about staying safe on Halloween, 911 Spokane is hosting a fun trunk or treat event for the community. Come and collect candy from the trunks of cars. 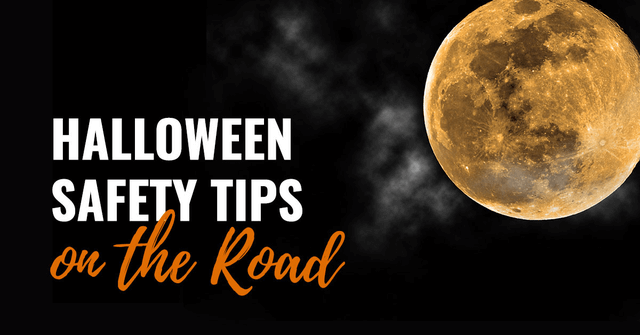 These types of events allow even your youngest ghouls, princesses, and superheroes to collect candy in a controlled, safe environment, where there will be no moving vehicles or streets to cross. Let’s work together to help keep Halloween a fun holiday by preventing unnecessary tragedies.